VPNArea is a relatively new and unknown player in the industry. They do promise some nice bells and whistles, and it’s nice to see that they’re registered in Bulgaria and don’t fall under data-retention laws. VPNArea, a small Bulgarian-based VPN provider founded in 2012, likes to sing its own praises, but is it really everything it’s cracked up to be? Owned by an off-shore company called Offshore Security EEOD, VPNArea boasts an impressive number of servers and locations, strong encryption and decent speeds. As always, we are going to put all these claims to the test, pick apart VPNArea and determine whether these claims are true. 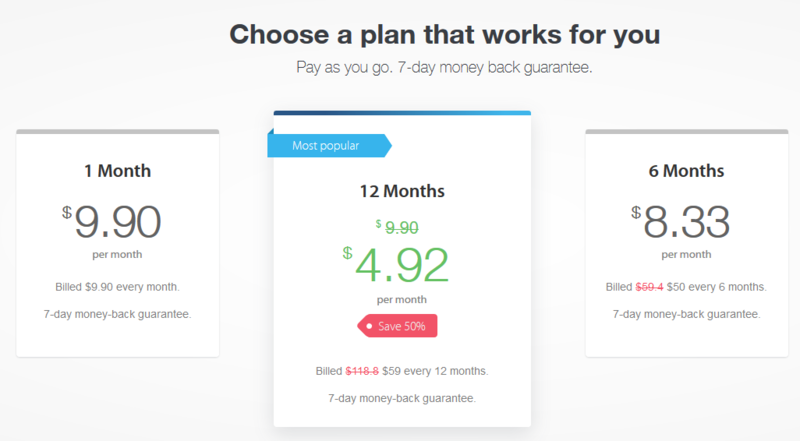 As a service that claims they’re the #1 choice for any VPN user, we’re expecting good results! Logging Policy: Safe as a… well, a safe! VPNArea doesn’t keep any logs, and even if they wanted to this wouldn’t be allowed under Bulgarian law. VPNArea’s main servers are also based in Switzerland, known for its independence and focus on privacy (there’s a reason Swiss banks are renowned!). VPNArea has robust anti-DNS leak systems in place which protect your IP address and prevent it from being leaked. This also stops ISPs from seeing what you are doing, and the secure encryption means you cannot be compromised. If your VPN connection suddenly drops or is interrupted, then VPNArea’s kill switch feature kicks in and protects your IP from popping up. VPNArea uses 256-Bit encryption as standard. This is the same level of encryption used by militaries and governments around the world. VPNArea uses a program called Chameleon which is based on OpenVPN. OpenVPN is used by all major VPNs due to the solid SSL encryption that it delivers. Any VPN which doesn’t use OpenVPN (or WireGuard) should never be used as they likely rely on more primitive protocols such as PPTP which has inherent vulnerabilities. 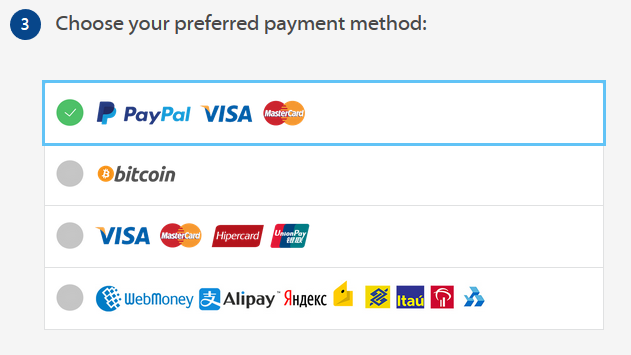 There’s a respectable range of payment methods on offer; in addition to traditional credit or debit cards (Visa and Mastercard), you can pay with Bitcoin, UnionPay, Alipay and a few other country-specific payment providers. At the moment, VPNArea does not support other cryptocurrency payments, cash or checks. VPNArea has compatibility and specific applications for Windows, MacOS, Android, iOS and smart devices such as consoles and TVs. You can connect up to six different devices at one time, too. VPNArea doesn’t throttle you either, so you can run six devices at once without having to worry about reduced speeds or any other restrictions. All their apps on the various devices are intuitive and easy to use. Overall, a solid offering VPNArea! Signing up is easy. You just need to choose a username, password and email address. The privacy-conscious amongst us should note that your email address will be kept on file. Given that other services such as Mullvad don’t require any personal information at all, those seeking complete anonymity should look elsewhere. 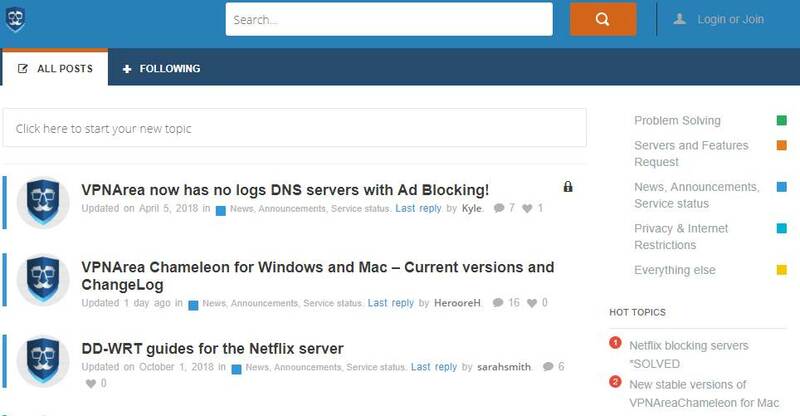 VPNArea earns a few extra points for supreme ease of use—browsing servers, connecting and changing DNS is as simple as a few mouse clicks. It’s basic enough for the least tech-savvy user to get up and running quickly. At the time of writing, VPNArea offers a network of over 200 different servers spanning over 60 countries. Most of these are located within Europe and the U.S.
We’ve seen server counts much higher, but 200 isn’t so bad. Still, are the severs quality, offering high speeds? VPNArea claims their client to server ratio (i.e. the number of people connected to a server) is amongst the best in the industry. This should mean better performance from their servers. Let’s find out if that’s true, with some speed tests. Now, we have a 250Mbps internet connection which averages around 230Mbps regularly. We connected to a VPNArea server in North America and Europe to see how VPNArea fared. As you can see, we lost between 40-50% of our download speeds. This isn’t mind-bogglingly slow, but there’s definitely room for improvement. This is going to be problematic for people who don’t have the best download speeds to begin with. Combined with a lack of servers, we expect a lack of positive remarks for VPNArea’s performance for customers. Still, getting over 100 Mbps is nothing to scoff at. 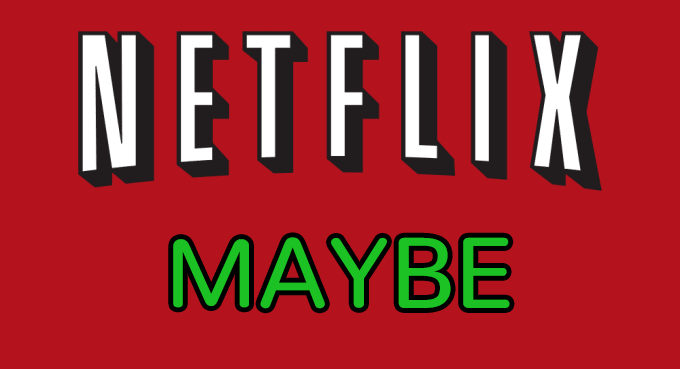 As with many VPNs where Netflix works, some servers work and others don’t. You just have to keep trying. I managed to get on Netflix on some US servers, so that’s good news. Still, it doesn’t feel like there’s strong support for this high-demand feature. VPNArea doesn’t call out specific supported servers. It’s a bit disappointing, and we’d like to see VPNArea work on this, providing specific Netflix support. VPNArea’s policy when it comes to torrenting? They allow torrenting, but only on certain servers—any servers which have “P2P” after their name can be used for torrenting. And don’t forget about their policy on illegal activities. They do not allow it. For more viable options, it’s probably best to check out our top VPNs for torrenting. These prices are competitive, but nothing we’ve not seen before. Many of the VPNs we’ve looked at shake out to around $60 per year when you purchase their service yearly. All plans give you full access to VPNArea across six devices plus unlimited bandwidth. Let’s not forget about the refund policy – it’s 7 days. At least there’s a guarantee? VPNArea offers customer support in the forms of email support, a forum, and a live chat. This customer support is offered 24 hours a day, 7 days a week. Their FAQs openly state that most queries are responded to within four hours and “most times” you should be able to reach a support agent through the live chat. Customer support requires you to input a username or nickname alongside an email address (again, use of an email address is required—not great!). When we tested their live chat, we waited for half an hour and a customer support agent never came to help us. That’s disappointing given that it’s a “live chat”. They do have an email-based ticket system and the wait times here seem to be around the 12-hour mark. Overall, an incredible support offering that’s let down by delays. We’re throwing this on the neutral pile, purely because the support is great – but it clearly needs some TLC. VPNArea has a typical set of FAQs, but that’s about it. There is a forum where you can ask questions and there’s a lot of information regarding the VPN product here, but there doesn’t appear to be a dedicated knowledgebase. VPNArea is a Bulgarian-based VPN provider founded in 2012. It’s owned by an off-shore company called Offshore Security EEOD. VPNArea boasts an impressive number of servers and locations, strong encryption and decent speeds. Privacy advocates will be happy to know that Bulgaria is not a part of the Five, Nine, or Fourteen Eyes Alliance. VPNArea Conclusion: To settle or not? In conclusion, do we recommend VPNArea? Whilst the VPN is robust and 100% safe in terms of there being no logging, secure encryption, a kill switch, and DNS leak protection, it is lacking in other areas. Customer support is spotty, and servers and download speeds are somewhat lacking. Yes, they have all the bells and whistles when it comes to security, but so do many of the top VPNs we’ve reviewed – and they offer much more in terms of speed, security, and additional features. If you’re looking for simple browsing and aren’t too concerned about being the fastest VPN user or having access to innumerable servers, then VPNArea is good enough. Don’t want to settle for good enough? Check out our top VPN reviews.